Hey! 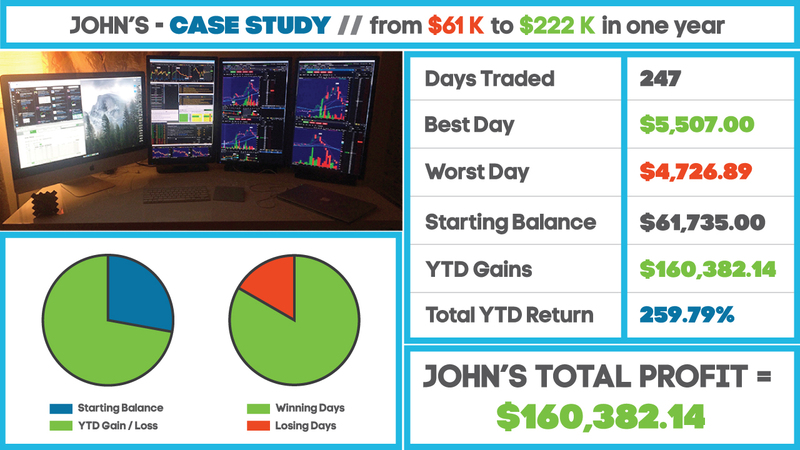 Today I wanted to share with you John’s story, he discovered Warrior Trading around the time when I started it. 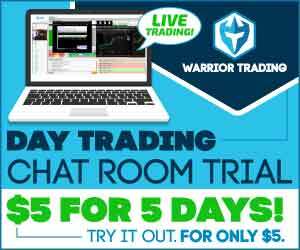 Although I didn’t know who he was at first, because he never officially introduced himself, he told me that he showed up during free chats and would continue to watch the service and grow from the sidelines before he jumped into the Warrior Pro Trading System. At that time, I probably had around 30 people in the chat room. During this time John explored various other trading services and education as he thought the best way to evaluate these services were to really give each service a shot. John had tried nearly every popular trading service or trader guru out there, and eventually ended up becoming a long time subscriber at Warrior Trading. 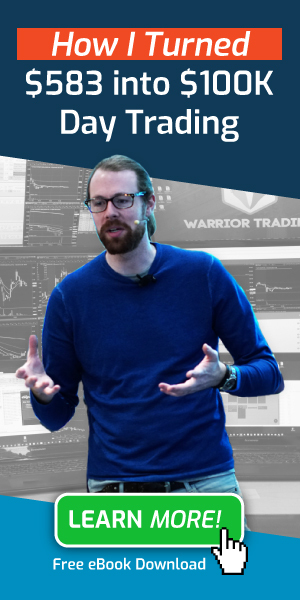 The main difference he told me was the substantial amount of real time, verbal, guidance that we give to subscribers during trading hours through our Warrior Pro Trading Course. Today, Warrior Trading is home to over 5000+ active traders. It has been said that the best way to gain experience is to put the hours in and do the work. John did the work, everyday like clockwork, he was in our chat and treated trading like a business. Johns profitability and consistency after joining Warrior Trading sky-rocketed, going from roughly $42,000 in 2015 to $160,000 USD in 2016. That’s a 200% increase in profits just in one year, even better is that his daily win rate (the amount of times he won vs lost in any one trading day) was at 83%. That’s 206 winning days with only 41 losing days! I am very excited to see what John does for 2017, his dedication is a direct result of putting in the work day in and day out. I don’t think people really get it initially, but, keeping your profits is just as important as making them. Although at this point, John knows how to read setups and trade independently, he knows that being part of the wrong community or none can hurt his profitability and create bad habits. When he was evaluating different trading communities, many of them would continue to trade throughout the day, almost like it was their full time job to trade up until the market close. 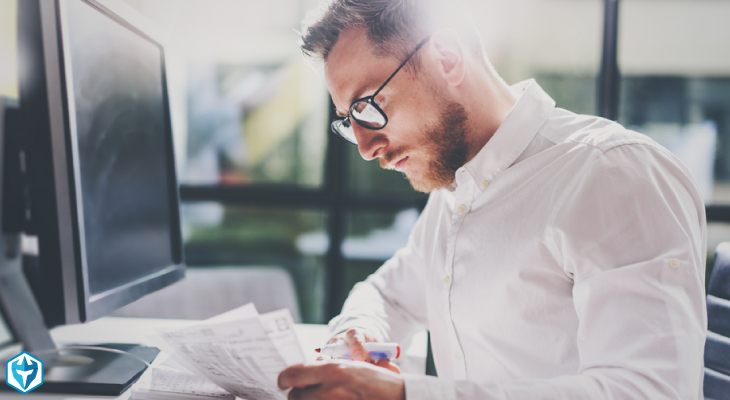 It didn’t make sense to him and even though he had his own trading plan, seeing that kind of behavior can make you believe that you should also be trading all day. It’s quite simply not the case. The reality is, the more you keep trading throughout the day, the more risk you take on. Also, let’s face it, who wants to trade all day? John, like hundreds of other people, have things to do throughout the day. Whether that’s running another business, or taking care of a family. John chooses, just like I do, to take profits in the first 2 hours of the market open and walk away. At Warrior Trading we practice what we teach and It doesn’t matter whether you trade fast moving small caps or volatile large caps, you don’t need to trade all day. Although by the time John joined the Warrior Pro, he had already gone through what I did when I started but he knew he needed mastery. Trading the hard way, without following a proven structured trading education system like our Warrior Pro, is a long roadmap to disaster. Why walk the long, hard, and stressful way on your own when you can just hop into the car with me and we’ll get onto the highway and reach the destination together? 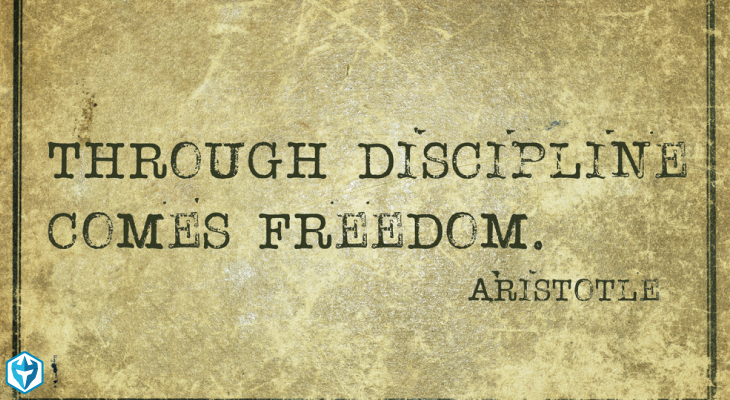 In future blog posts, John will write about his experience of becoming a trader and all the difficulties he went through, but it took him about 1/2 years to learn the ropes and get profitable. 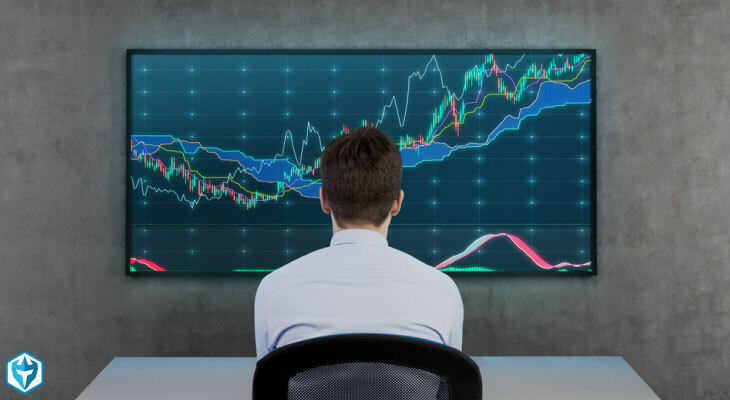 Today, we offer students the ability to leap frog over a lot of those trials and tribulations and get people trading profitably much faster through the complete Warrior Pro Trading System. John admits that there were specific points in his trading career where he had epiphany moments where things just clicked. You know, the “ah ha” moment, where everything just makes sense. These things took him years to figure out on his own, but at Warrior Trading we give them to our students the ability to fast forward their learning curve through our online trading classes. When you decide to start trading, the clocks starts to tick. Most traders have three clocks, Your bank and brokerage accounts, and how much money you have left in them, and your life clock. Everyone has their own goals and aspirations, if people cannot figure out how to trade fairly quickly, they will give up. Thus, the majority of traders fail because they don’t have the proper education, and cannot get up to speed fast enough before their clocks runs out. I encourage everyone, if they are serious about trading, to let Warrior Trading help beat your clocks and get you trading profitable as soon as possible. Please contact our team directly here for plans on how we can help. Work because you want to, not because you need to! Even with Johns relatively short trading career of about 3 years from the time this has been written, he no longer relies on W2 income. There is no boss, there is no job to commute to. No waiting for a paycheck or waiting for the day to end to go home only to see that it’s dark outside and the day is over. Trading has allowed John, who has become a savvy entrepreneur, to branch out and generate different sources of income. 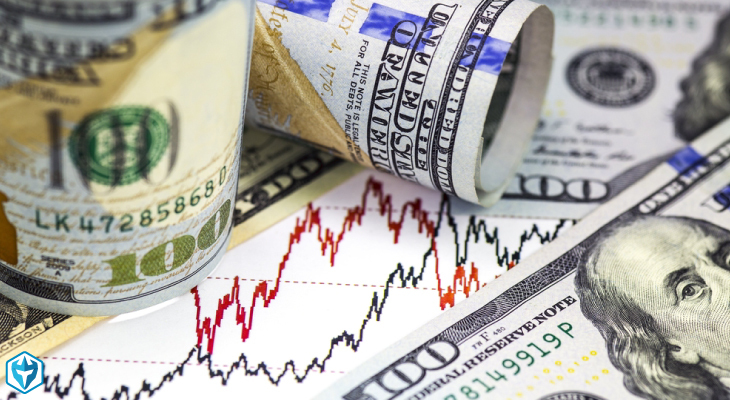 After all, once you can trade profitably, your next step is to figure out ways to hedge and diversify your income. After trading the market open, John goes to work on his other ventures. He trades from the comfort of his own home and can pay himself any day he wants. Just last Friday, John made $3,911. That’s just one day. He can choose not to trade for the rest of the week, or month if he wishes, but, we all know John will keep showing up in chat everyday, and we hope you do too! To stay up to date with John, bookmark this page as any blogs he writes will show up here, you can also find John everyday in the Warrior Pro Trading Chatroom and the Inner Circle.